This is a review of Tim Hortons‘ two new Churro Treats: the Churro Donut and Churro Timbits. Churro Donuts and Churro Timbits are both made with a fried-dough pastry that’s sprinkled with a blend of cinnamon and sugar. The ridged Churro Donut gets the added bonus of a caramel filling. I paid 99-cents for my Churro Donut at a local Tims. I also purchased a small box of Churro Timbits (price escapes me). While I was initially excited about diving in to the new Churro Timbits, my excitement quickly turned to disappointment when my first Timbit was grossly undercooked. 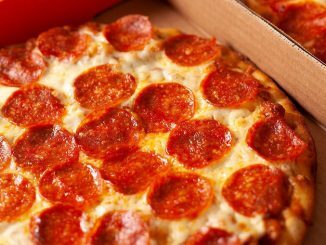 The combination of raw and undercooked dough on the inside was simply off-putting and left me hesitant to continue. But the temptation to woof it down won the day, and my second Churro Timbit – I’m happy to report – was cooked just right. 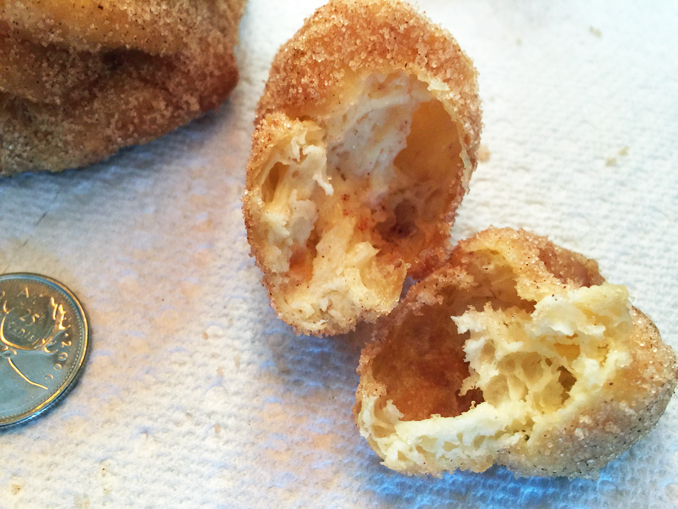 Churro Timbits are very light and mostly hollow on the inside with a pleasant sugar coating. To be quite honest, the cinnamon flavour was mostly nonexistent, but I was more than satisfied with the overall flavor profile. Aside from the issue of being undercooked, the Churro Timbit is a winner in my books – but Tims, you really need to work on quality control. Are you listening? Like the Churro Timbit, the new Churro Donut is light and mostly hollow with a satisfyingly and somewhat crunchy exterior. The caramel filling is absolutely amazing, and reminded me of something I’d expect to find in a treat at the fair. 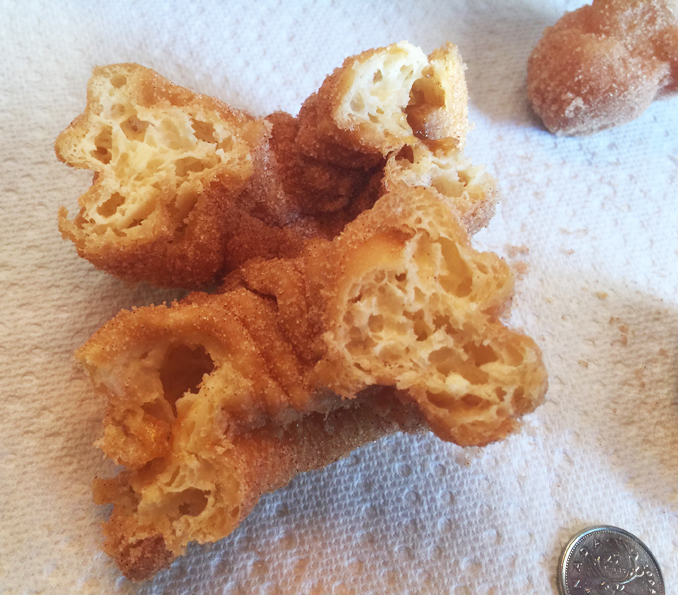 The filling is hands down the best part of the Churro Donut and it left me wanting for more. While I absolutely loved all the flavor combinations, I was disappointed in the lack of caramel filling. To be honest, I found myself hunting for filling. 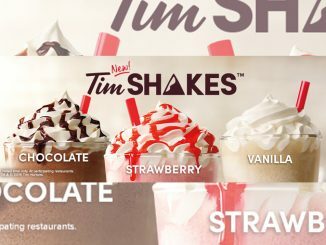 Tims, fix this, please! Just one more thought on the caramel filling – I was struck by how much the flavour reminded me of cotton candy. Please feel free to leave any comments, or questions you may have in the comment section below, and rate this treat yourself, if you’ve tried one, or both. Did you get that rush of cotton candy flavor too? I’d like to know! I’m willing to overlook the quality control issues (for now), with the hope my experience was isolated. I absolutely believe Tims hit a homerun with Churro Treats. Get them while you can, because they’re only available for a limited time. For the record, I purchased a small box of Timbits and about half were undercooked. The quality control issue is reflected in my overall rating. This is a review of the new Tim Hortons Churro Donut and new Churro Timbits. Got the donut tonight and was floored at how good this is. Going back go a dozen tomorrow. Mine was thickly coated in sugar an had very little filling. Still tastey. Cotton candy!! YES! That was my exact description too. It’s odd to say caramel filling tastes like cotton candy but it was the only thing I could compare the taste to (which resulted in a strange look from my husband until he too tried a bite). 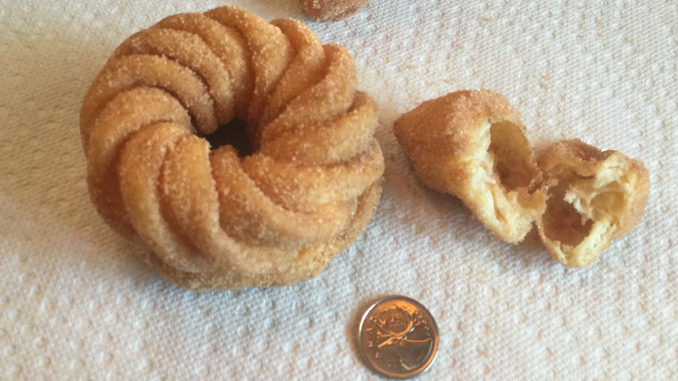 If I’m not mistaken (and if I am, feel free to correct me), but the base of this new donut is a cruller, so I don’t recommend to those who dislike the barely-cooked inside of a cruller. My only disappointment is that these are limited time only. Yuk. This tasted like a stale cruller recooked in grease and hardly any filling. Best served warm? How do we do that while travelling in a car… glad others like them but i will stick to my favourites. Quit reinventing the wheel/donut…. I love it! 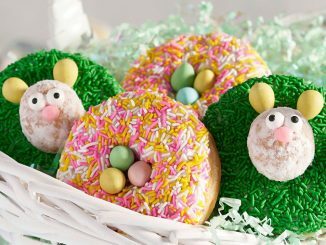 I really hope Tims adds this to the permanent doughnut line! Ok seriously this donut was pretty surpising. at first i asked for a honey cruller but the girl was like “we don’t have honey crullers here but i think i know what you’ll like”. couldn’t tell what she said but i said “ok i’ll try it” she comes back with it and my first impression was like “hmm” and then “looks like a honey cruller”. then i got on the bus and i pulled it out and sugar was everywhere. I didn’t expect the caramel center but i liked it a lot because of the nice surprise. now i’m a big honey cruller fan so i was not sure how i would feel about a SUGAR cruller. but i have to say i’d give it a solid 5 stars. I mean, 4 stars. It was good but not 5 stars good hahahahahahah. I’ll be back for more. Gonna get TWO doz tmrw. will report back. I got a box of the churro timbits and EVERY SINGLE ONE was wet/doughy on the inside. I think that is the taste they are going for? I ate 5 and feel ill now. The churro timbits are still raw. Always. At every tim hortons I’ve visited. 3 to be precise. Their doughnut churro is always good. But their timbits are consistently raw. Very off-putting. 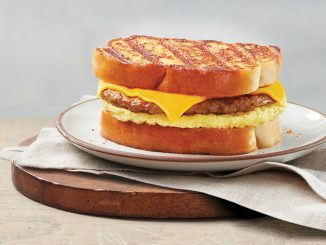 They don’t know how to fry them. Overall good doughnut, but I prefer it to be cooked before I eat it.